Education offers one of the best opportunities for ending the vicious cycle of poverty. 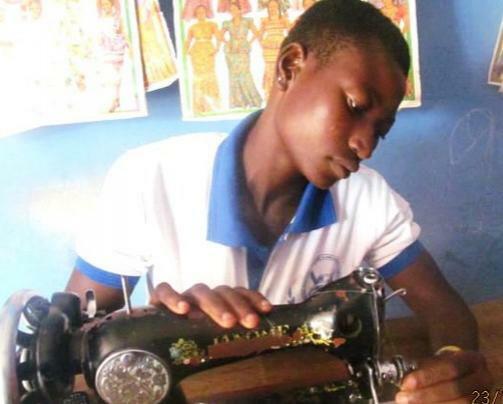 AfriKids’ Transforming Futures project is opening doors for underprivileged, talented and ambitious young people who would otherwise be unable to go to school, access vocational training or continue their higher education because their families are held back by poverty. Elizabeth has been given a life changing opportunity through this project and here’s her story. Elizabeth sadly lost her father at the age of three. Her mother, a subsistence farmer by trade, was left to look after all of her children on her small and unpredictable income. Elizabeth’s mother really struggled to take care of her family’s needs; she found it difficult to provide three meals a day for them let alone pay for uniforms and books so they could go to school. An education for her children seemed like an unattainable dream. Their situation worsened when their home collapsed in poor weather, leaving them with no security at all. It was at this point that Elizabeth and her sisters, like many other young children from struggling families, took the decision to travel south in search of earning a better income. But life in the south was far from easy. Elizabeth was forced to live with a young man to secure a roof over her head and she soon became pregnant. Soon after the baby was born, he was killed in a car accident and Elizabeth had little choice but to return to Bolgatanga, the largest city in the region, with her new baby; her life as a single, sixteen year old mother had become too difficult with no family support. With little education to aid her in securing a job, Elizabeth was determined to learn a trade that would help her to generate an income and better provide for her child. 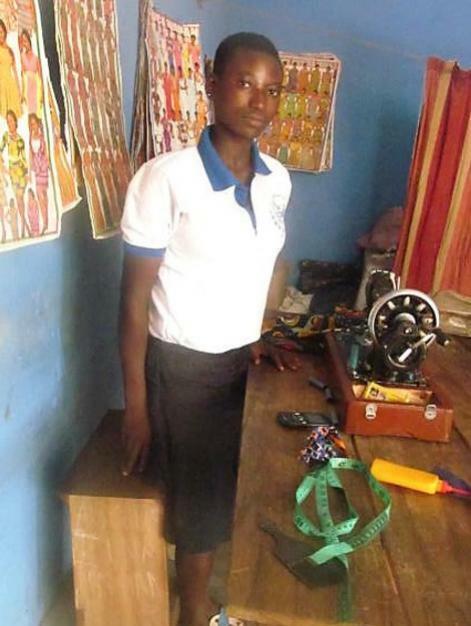 She has since started training as a seamstress with support from AfriKids to pay her training fees and buy her equipment. She is excited to complete her training so that she will be able to provide her child with the education that she never had. Her trainer has been extremely impressed with her work, expressing that Elizabeth is eager to learn and has progressed very fast, being able to sew her own uniform within just three months!